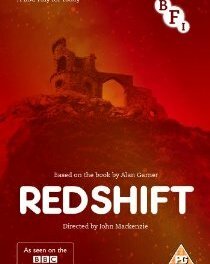 The latest release as part of the BFI’s Sci-Fi: Days of Fear and Wonder season brings us a rarely seen adaptation of Alan Garner’s novel, originally produced (from Garner’s own script) for the BBC’s Play for Today series. Garner’s writing always worked a rich vein of the mythic and frequently centred around psychogeography, suggesting that locations held a power, a consciousness almost, of their very own. 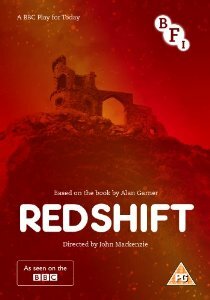 Red Shift is the story of three young men, linked by their Cheshire location and the possession of a votive axe head, but separated by centuries. In the present day (well, 1978) Tom (Petcher) is coming to terms with the absence of his girlfriend Jan (Dunlop), who has moved to London to train as a nurse. Suffocated by his mother he escapes into his own head, a jumbled mass of thoughts that he struggles to express. During the English Civil War, royalists hold a church under siege. Thomas Rowley (Bolton), a young man plagued by visions, is one of those trapped. In Roman Britain, Macey (Byatt), a man prone to violent outbursts, falls under the spell of a mystical young woman held prisoner by the legionaries he travels with. All three seem subconsciously aware of each other, all three have mental violence building up inside them and a complex relationship with a woman that they can’t quite engage with. Their stories are separate and yet emotionally linked. It’s a clever and beautifully written story and an excellent adaptation of the novel (as one might hope given Garner wrote the script). Just as interesting is the documentary All Systems Go, produced in 1973 as part of the One Pair of Eyes strand. Here, Alan Garner offers a personal essay on his work and beliefs, discussing his inspirations and providing a compelling and evocative taste of the inside of his brain. Also included is Spirit of Cheshire, a twenty minute travelogue of the county that inspired Garner, voiced by Michael Hordern, plus short interviews with Bob Jacobs, the first assistant director on Red Shift and Oliver White, the sound editor. An excellent disc of a vital and powerful film.